Are you interested in learning about the best combo deck in Vintage? 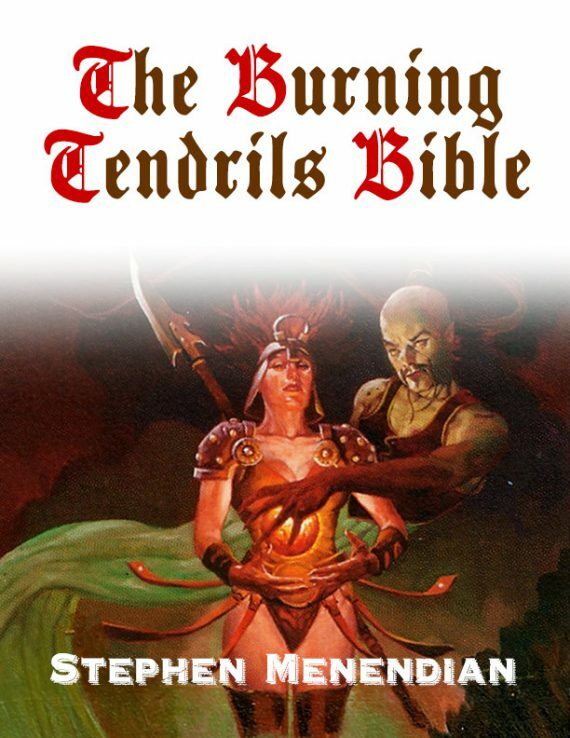 Stephen Menendian’s Burning Tendrils primer, Burning Tendrils vs. MUD matchup analysis, and four Burning Tendrils tournament reports together can now be yours in these collected works, now titled The Burning Tendrils Bible. Unrestrictions are some of the best opportunities to revive decks from the rich history of Vintage. Burning Tendrils is one of the truly great decks from the format’s past, and an archetype that only emerged in Vintage – where cards like Mind’s Desire coexist with Necropotence. It’s breaking of Lion’s Eye Diamond changed how we understood LED. Burning Tendrils was the first great Storm deck, and revived the School of Magic that had existed at least as far back as Olle Råde’s Prosperity deck, and through the great Academy decks of Urza’s Saga. This Restricted List Combo archetype languished following the restrictions of 1999 until Scourge arrived and elevated Burning Wish from toolbox tutor to combo enabler. Long overdue, when the DCI unrestricted Burning Wish in October 2012, I immediately began work on reviving the archetype, and bringing Dark Ritual back to viability in Vintage. I faced skepticism, from teammates who told me that Burning Wish wouldn’t be playable, and community members who claimed that the deck couldn’t possibly compete with Workshops. Burning Tendrils is now a staple of Top 8’s worldwide, and I have no doubt that this deck will continue to perform. The new printings I incorporated into this ancient archetype like Griselbrand and Mox Opal have helped fill vacancies caused by restrictions, and provided new angles of attack. More recently, the M14 rules changes also bolster this deck. Mox Opal is strengthened as a mana accelerant, and Griselbrand is now immune from removal via the Legend Rule (such as with Phyrexian Metamorph, a key Workshop tactic). The sideboard rule may even spare Burning Tendrils pilots embarrassment or worse if they forget to put a Wish target back. In these collected works you will discover the evolution of an archetype from my initial vision to a series of tournament victories, as the environment changes and as I push the deck forward with the guiding precepts of continuous improvement, tweaking, and tuning. This is an archetype that rewards its pilot through experience and ever improving skill, and is the culmination of Brian Weissman’s vision of a format and of a deck weapon for which the only ceiling on performance is the ability and willpower of its pilot. If you have not yet purchased these articles, here is a change to get all 5 articles at a big discount. There are over 125 pages of detailed analysis, in-game examples, sideboarding help, insightful explanations and tips, and updated decklists.